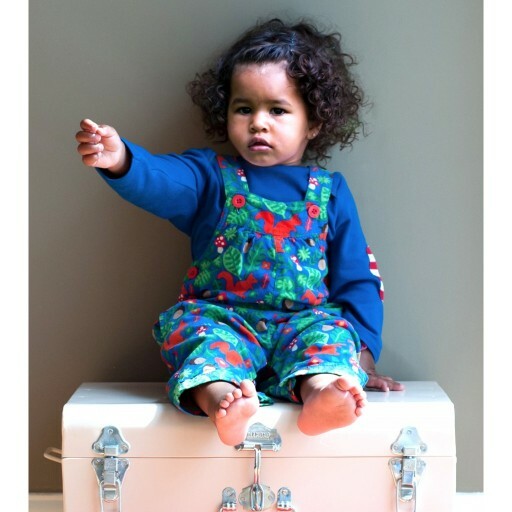 A pair of adorable cord dungarees in one of our favourite prints! 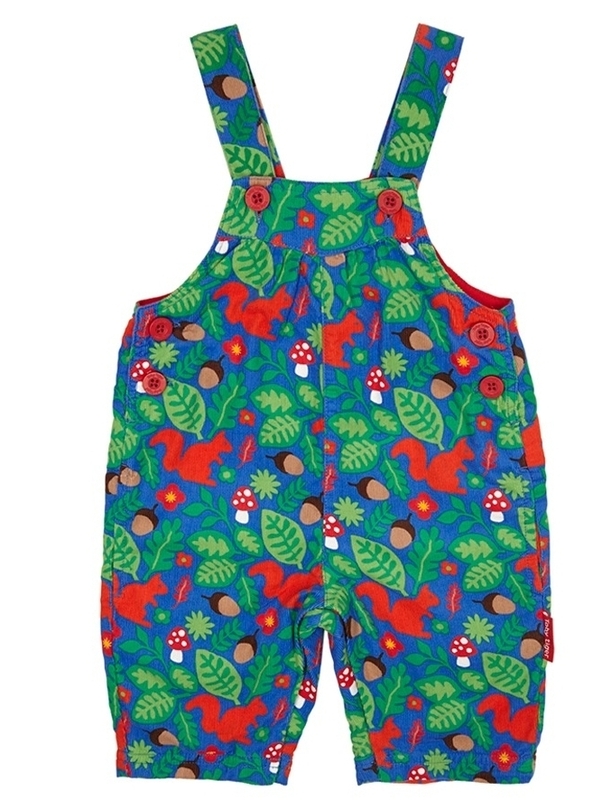 These bright blue and green dungarees have a cosy jersey lining and are covered in some familiar British garden dwellers - this is the perfect outfit for an autumnal stroll through the countryside. Wear with wellies and one of our super-soft stripey t-shirts to complete the look! Comes with height adjustable shoulder straps so they stay fitting your little one perfectly for longer, while the popper fastenings make nappy changing easy peasy.